Add a splash of color and a shimmer of light with this cool table lamp. 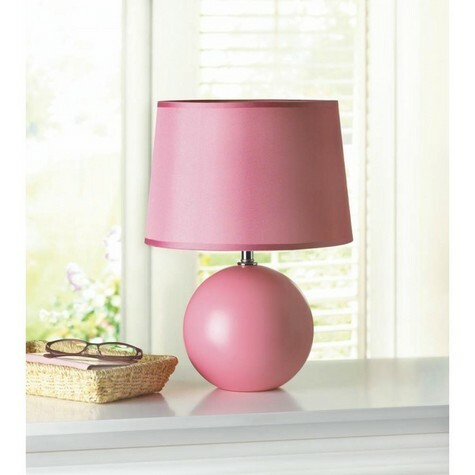 The round globe ceramic base is finished in flirty pink and has a matching fabric shade. It's compact enough to fit in just about any space! LED E26 (60W) light bulb not included. Dimensions 11.2" x 11.2" x 15.5"